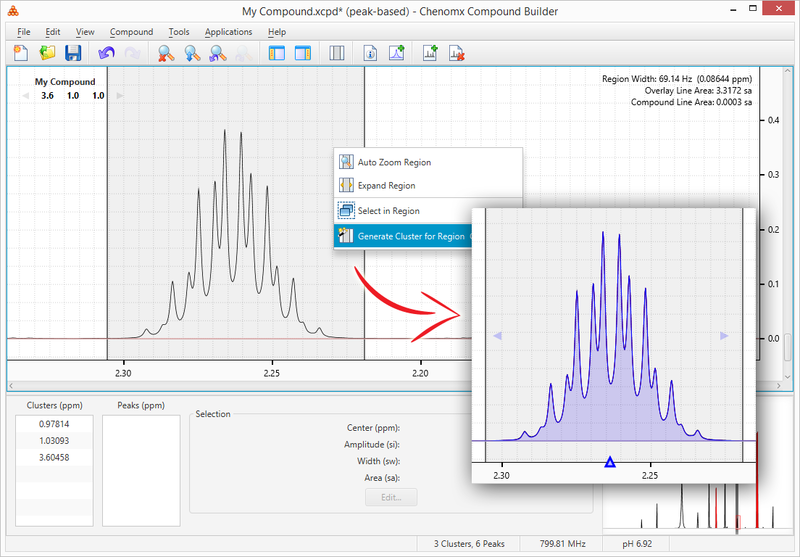 Chenomx NMR Suite is an integrated set of tools for identifying and quantifying metabolites in NMR spectra. 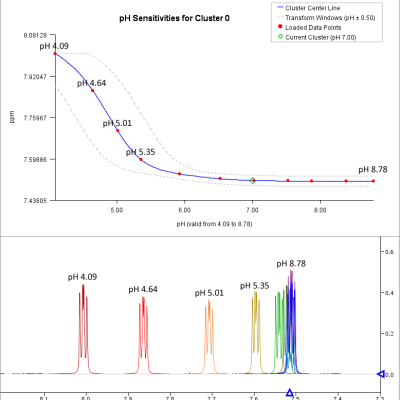 By combining sophisticated chemistry with advanced algorithms, Chenomx NMR Suite offers a metabolic profiling platform with unparalleled power and ease-of-use. 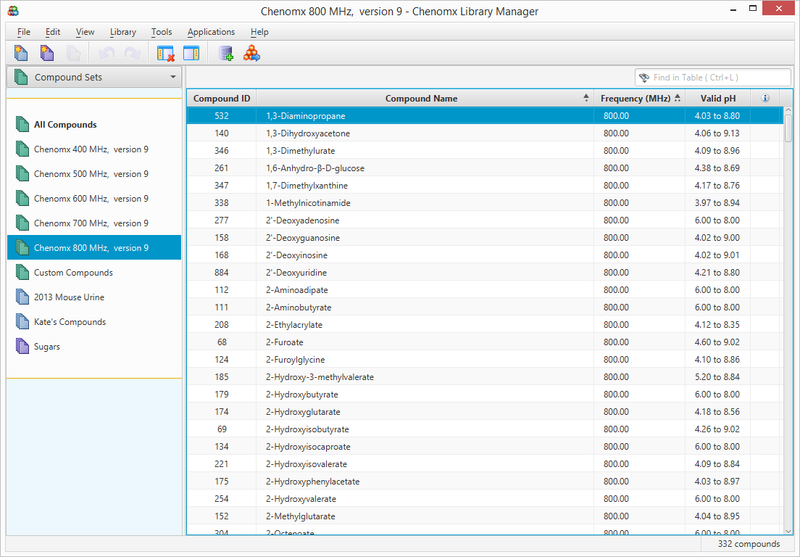 Chenomx NMR Analysis Software simplifies the measurement of biological mixture components using an extensive Metabolite Reference Library. 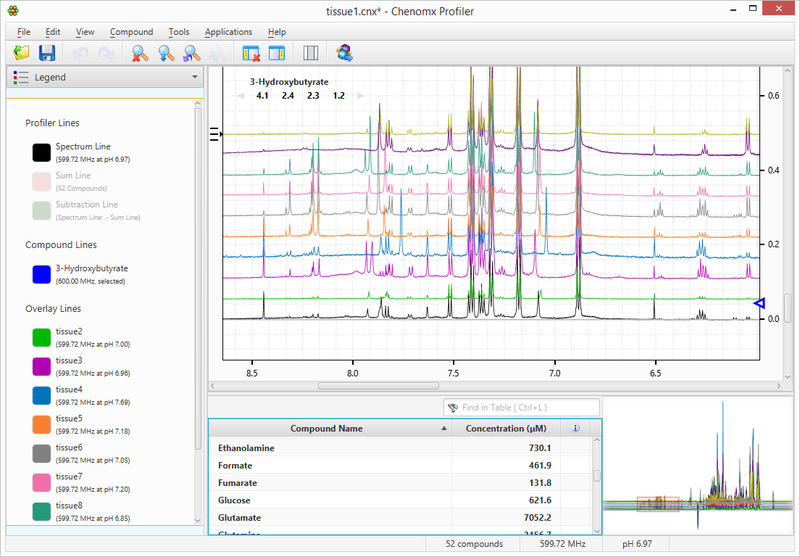 The software configures the Library to the experimental spectrum's NMR field strength and sample conditions, and through both automated and supervised operations, de-convolutes the spectral signatures of the components in the mixture. Identified components are the 'subtracted' from the experimental spectrum and the remaining spectral peaks are isolated for further comparison. The result is that 1D H NMR spectra can be turned into tables of identified compounds and their concentration in a convenient and straightforward way. 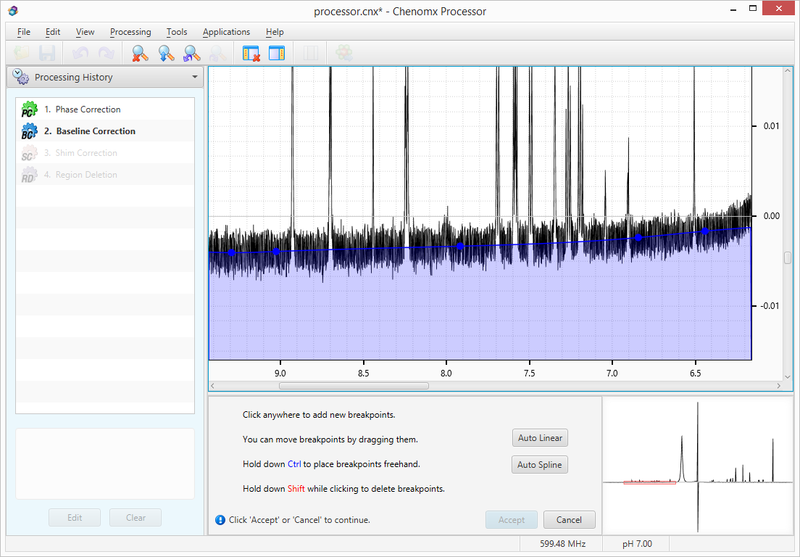 Chenomx features data exporting functionality suitable for use in your research and publications. Data exports to excel format, image export for publications, saving of profiling results as templates for other projects and more. 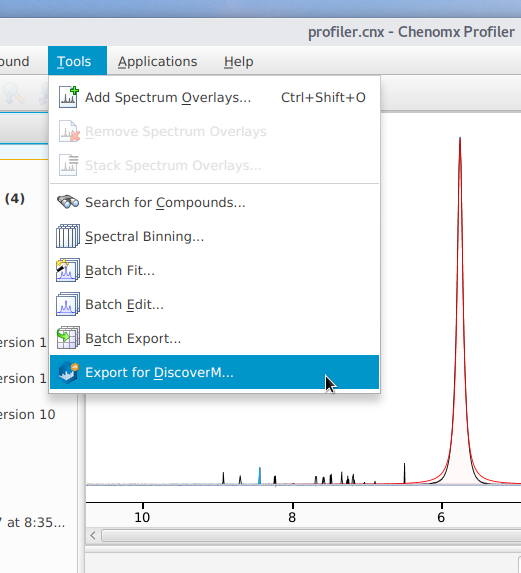 New Reporting Software from Chenomx » We are pleased to announce the release of DiscoverM, software for statistical analysis and reporting of data for Chenomx NMR Suite data. This software has been developed together with researchers at the University of Alberta and is available at no extra charge. 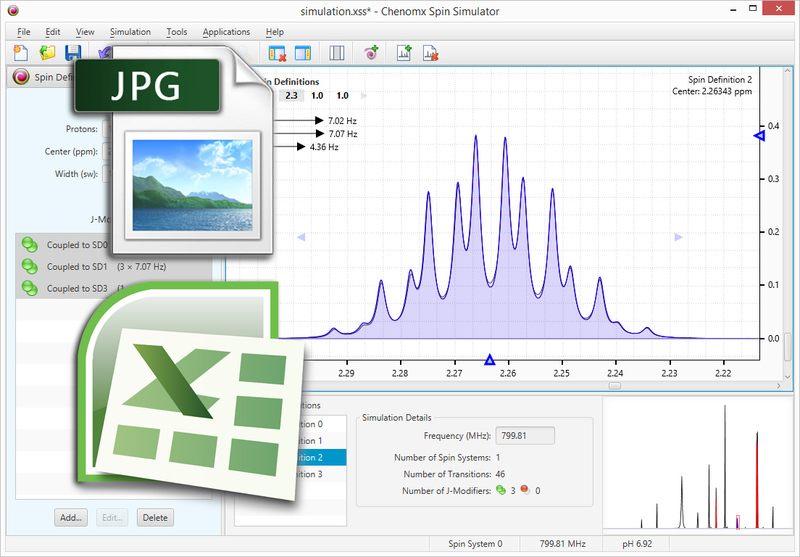 Chenomx users who are licensed to use Chenomx NMR Suite version 8.4. will be able to export spectral results from project files to DiscoverM. Please refer to https://www.chenomx.com/software/discoverm/ for more detail. New Export to DiscoverM Feature » We've added an Export to DiscoverM feature to Profiler. This feature will export concentrations from a group of files in Profiler to be used in our new statistical analysis and reporting software, DiscoverM. Improved Bruker Processing » We've improved our processing of Bruker FIDs to significantly reduce "smile" effects at the edges of the processed spectrum. 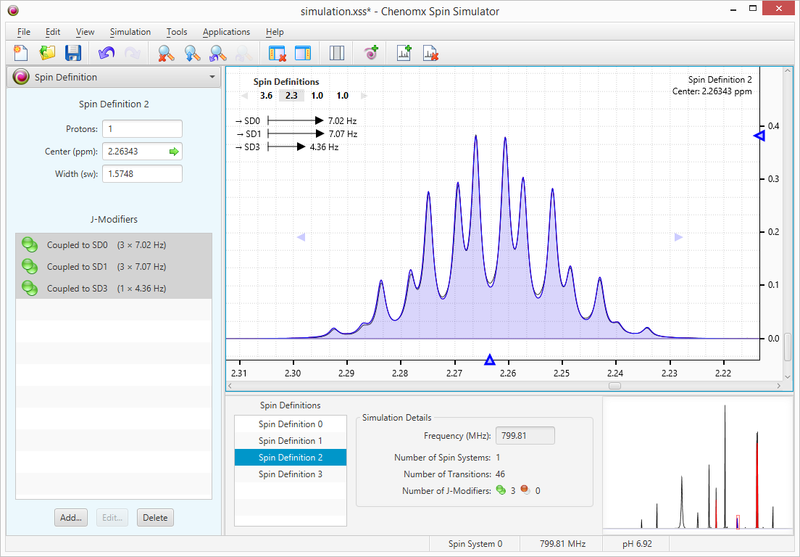 Improved All User Licensing » We've simplified the process of licensing Chenomx NMR Suite for all users of a computer on macOS and Linux. Numerous Updates and Fixes » We've updated our Java environment to the latest version of Java 9 and fixed numerous small issues.